You asked what tools I use. I’m using a 15-year-old dremel…I just picked it up and hit the ground running. I was astounded by that and told Robert so. But then I hadn’t seen any more of his outstanding work until these pictures popped up on social. Definitely Robert’s style and as good as ever. 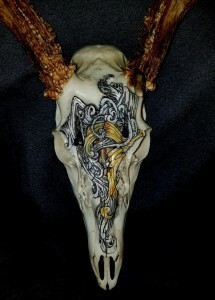 I emailed him and asked why the 3-year break in skull engraving? I’m happy to report that Robert is recovering and back to engraving skulls. 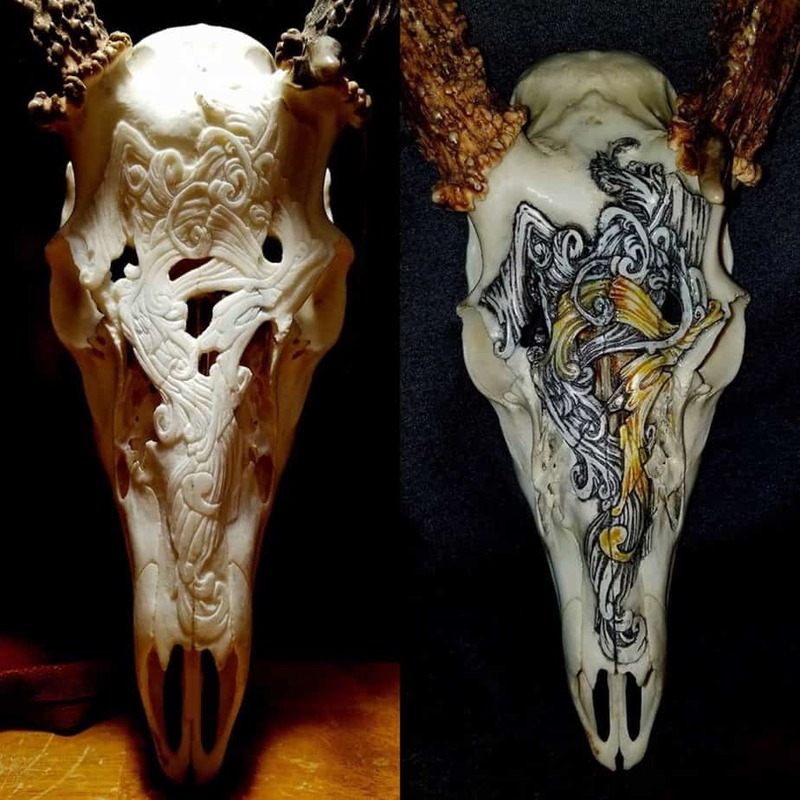 He has offered to carve and paint a skull for me if I’d send him one. It will go out the door this week and I can’t wait to see it! I also hope to get out there sometime and shoot a BIG DEER TV segment with Robert. Glad to see you back at it man, you have a gift! If you’ve got a free day this weekend, go back out to the stands you hunted last fall, walk out from them in an ever-widening circular pattern and look for old sign. You will learn a lot about how deer used the terrain, structure, cover and wind when traveling from bed to feed 3 or 4 months ago. 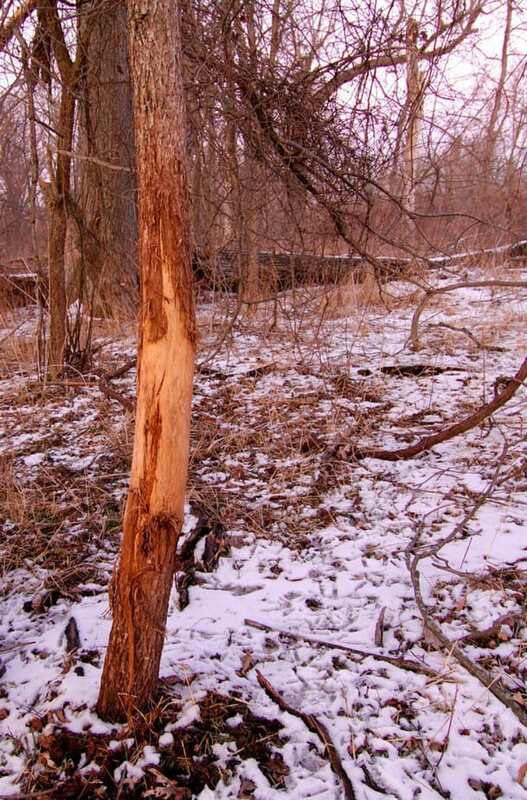 You will find spots where bucks rubbed and scraped the most. You will learn if you need to move your stand 50 to 100 yards…or maybe you’re in a good spot and should stay put…or maybe you should pull out of the area all together. All this will double your chances of whacking a big deer when you come back to hunt in 8 or 9 months. As you hike the trails, note how they hug brush, cut through low spots, curve around fence corners—all potential funneling spots for stands next season. Also, use a map, compass and your imagination to visualize how the deer on those trails worked into the predominant wind, especially the closer they got to food sources and bedding areas. The more you can nail down how deer use the common winds in your area, the more bucks you will see and shoot. 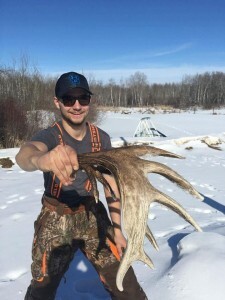 As you hike on the freshest, muddiest trails between winter feeding and bedding sites, look for just-cast antlers. Find a big chunk of 4- or 5-point bone (and both sides if you’re lucky) and you know one thing—a shooter that you saw last season (or maybe you didn’t see him) survived the hunting season, and if doesn’t get hit by a car over the summer, there’s a good chance he’ll be on your land next season. It gives you something to think about as you analyze all the old sign you just found and work it into a fresh hunting plan for the fall of 2018. 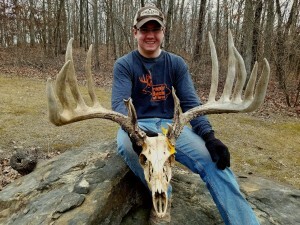 #1 Typical Whitetail Antler in Shed Record Book: 6-point 104 6/8 left side picked up in Illinois 1992. 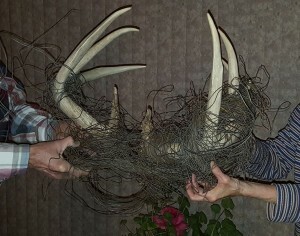 #1 Non-Typical Whitetail Antler in Shed Record Book: 24-point 156 5/8 right side found in Saskatchewan 2007. Individual bucks often shed their antlers the same week every year. As a rule, older bucks shed earlier than younger ones. 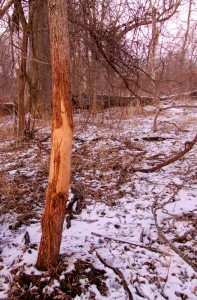 Increasing daylight and a buck’s falling testosterone cause antlers to shed. Once a buck drops one antler, the other one usually falls off within hours. Squirrels and porcupines chew on dropped antlers for the calcium they provide. Shed antlers are valued by size and grade, from Grade A Brown (best) to old, white Chalk. 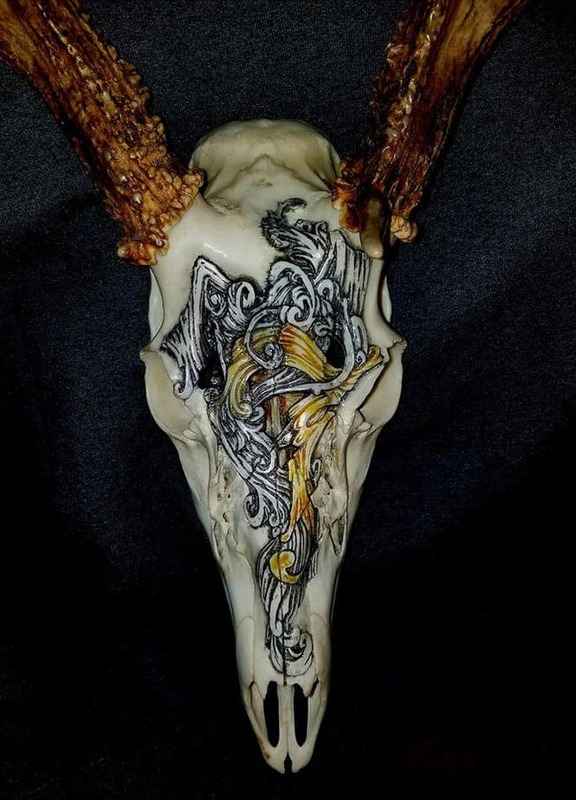 Antlers can fetch $5 to $18 a pound, depending on grade and size. 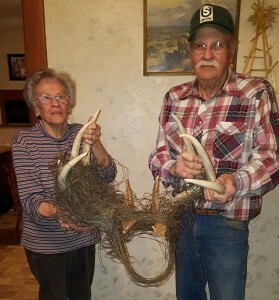 A matched set of fresh sheds from a large 6-point elk can be worth $500 to $1,000. Around noon the other day I was driving in central Kansas and passed a truck on a 2-lane with an older couple in it. About 5 min later, I looked in my rear view and saw that same truck getting closer and fast. Hmm. Their headlights start flickering so I pulled over. I said, “Okay great.” I proceeded on my way and got to thinking about it. I called them and left a message. About 20 minutes later the husband called me back and said sorry we missed you, but we are home now. I asked where and by luck I was only 15 minutes away. I said, “Well let’s take a look,” and we proceeded out to his workshop. What I saw did amaze me. I never had seen anything like it, and I have seen a lot of antlers! The gentleman had found the sheds—heavy, tall-tined upper 150s/160 class–10 years ago beside a pond on his property while out bird hunting. From my understanding, one of his neighbors that year had lost 1/4 mile of electric fence and never could figure out where the heck it gone. The mystery was solved when these sheds were found. I was surprised the deer had survived, and even more amazed that he was able to shed his antlers and slip them off his face! Incredible. After talking it over with the man, we worked out a deal and I was able to bring the unique sheds home.